Thiruvallikkeni is replete with Festivities. 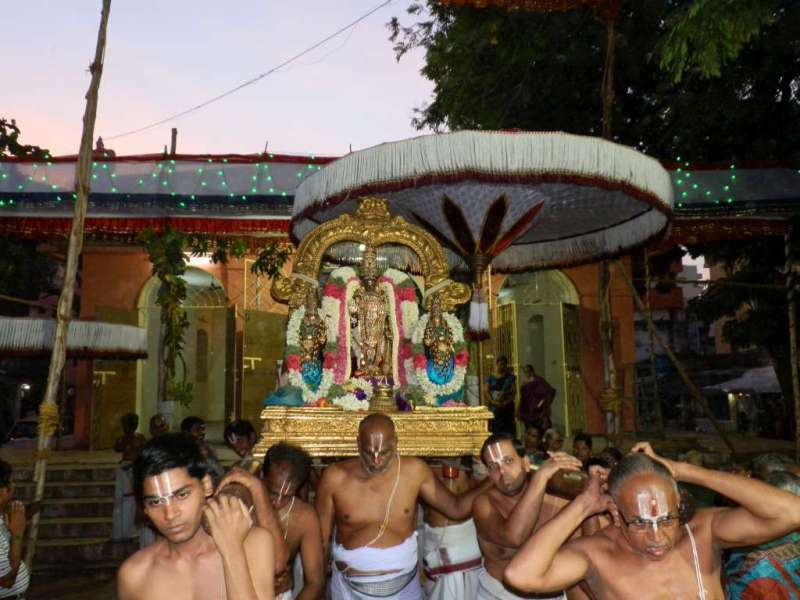 After the Theppothsavam, comes the Thavana Uthsavam. 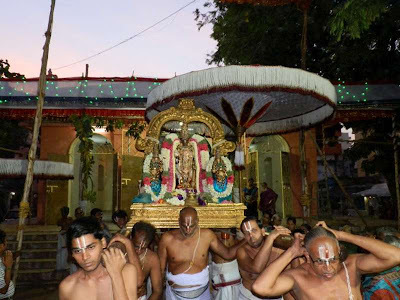 It would amaze one to understand the significance of each Uthsavam and the care with which our elders have designed them. 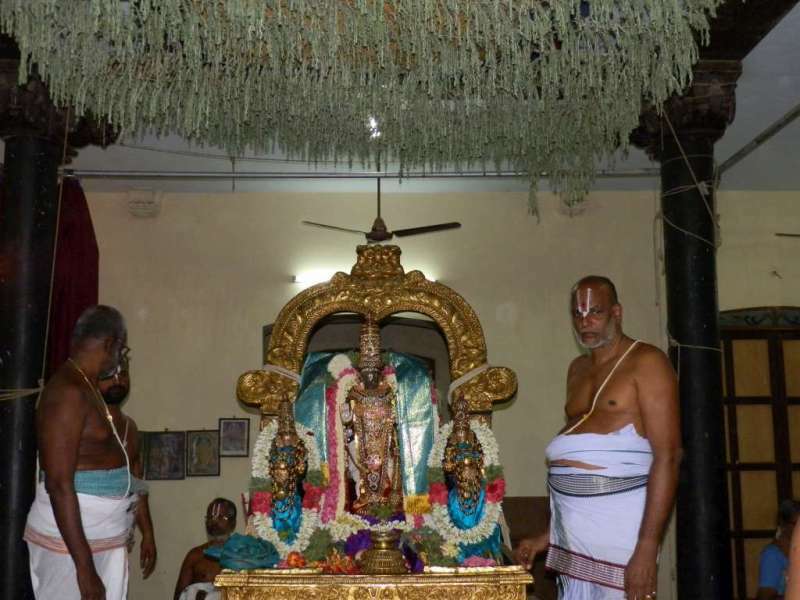 There are palaces [bungalows] specially built for providing rest to Perumal on different occasions ~ at Thiruvallikkeni, there is Thavana Uthsava Bungalow situated in Thulasinga Perumal Koil Street, Komutti Bungalow in Peyalwar Koil Street and Vasantha Uthsava Bungalow in Venkatrangam Street ~ sad that the big spacious sprawling premises of Vasantha Uthsava Bungalow is no longer there……..
During this Uthsavam, Perumal takes rest under the roof made of thavanam – an aromatic herb. Dhavanam (Tamil: தவனம்) [Artemisia pallens], is an aromatic herb, in genus of small herbs or shrubs, xerophytic in nature. 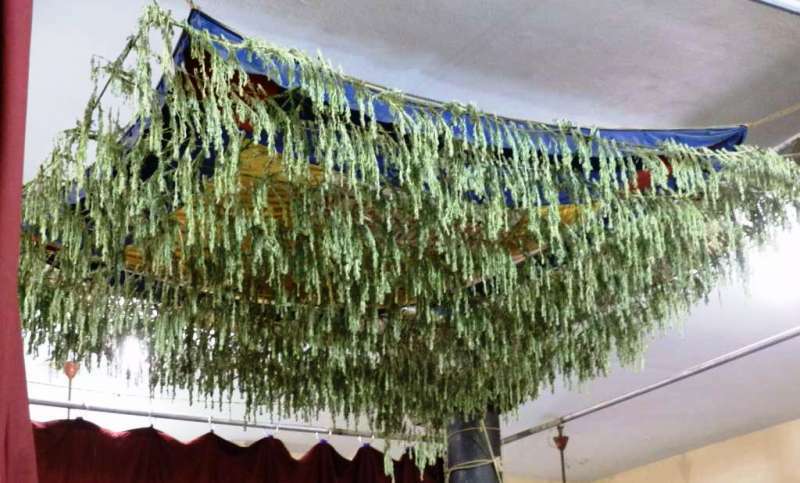 This herb pervades great aroma and provides coolness. Now a kooralam [roof] made of Dhavanam is set up over the resting place of the Lord. 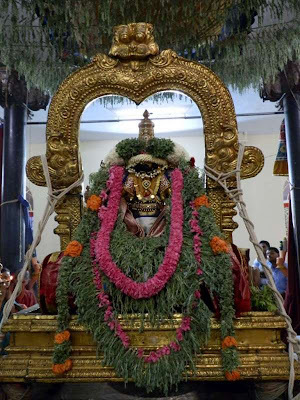 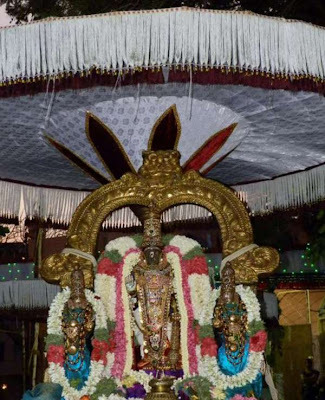 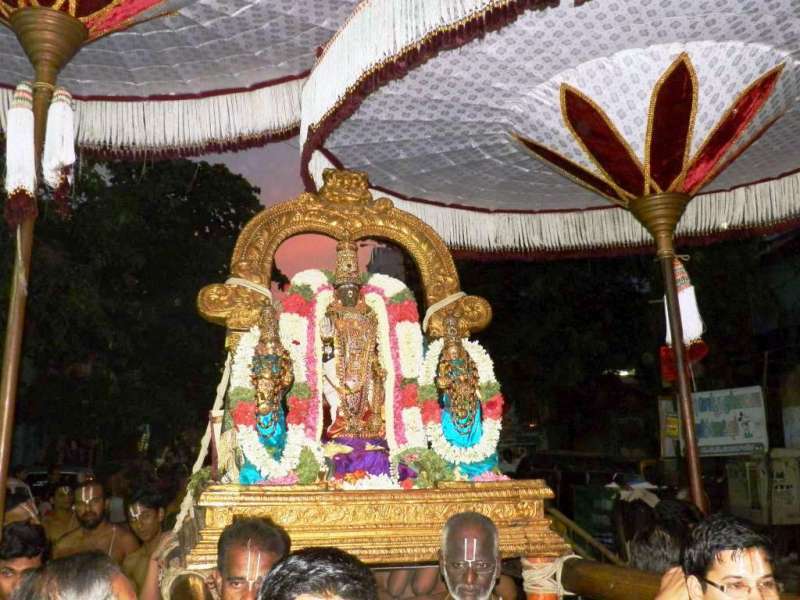 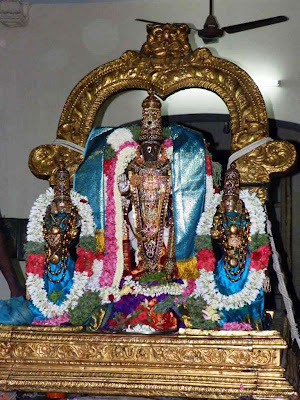 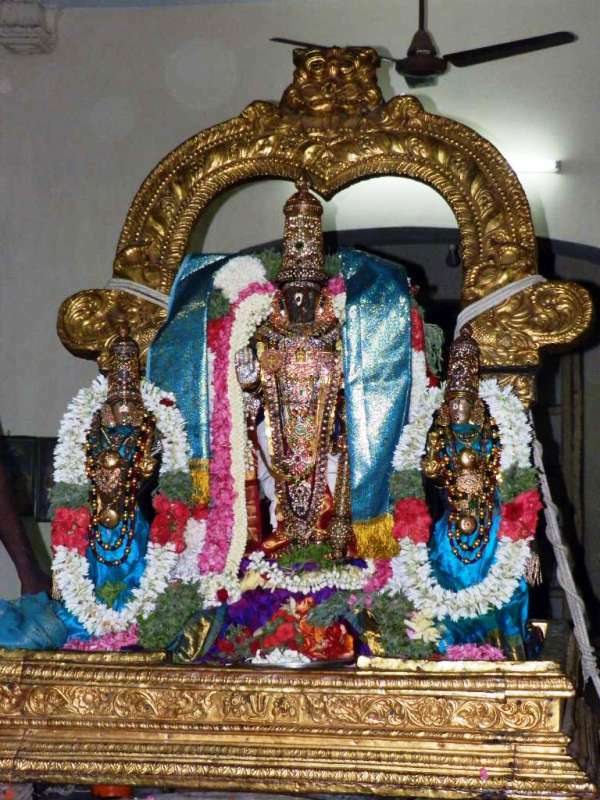 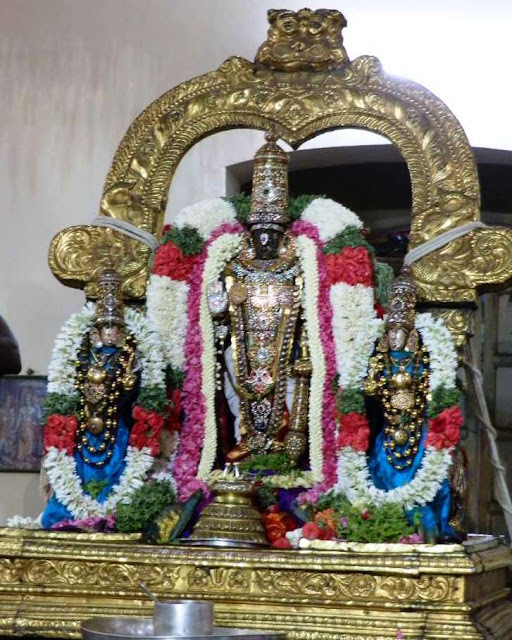 Sri Parthasarathi reaches the Bungalow in the morning, has Thirumanjanam inside the premises, has purappadu inside the Bungalow in the evening and then has ‘periya maada veethi purappadu’.